Will Craig does not have any MLB stats for the season. Draft: 2016, Pittsburgh Pirates, 1st rd. April 2, 2019 1B Will Craig assigned to Indianapolis Indians from Altoona Curve. 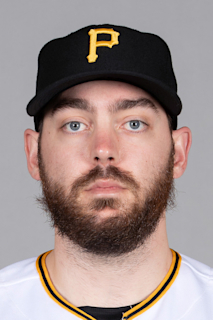 January 5, 2019 Pittsburgh Pirates invited non-roster 1B Will Craig to spring training. April 5, 2018 1B Will Craig assigned to Altoona Curve from Bradenton Marauders. March 10, 2018 3B Will Craig assigned to Pittsburgh Pirates. April 4, 2017 1B Will Craig assigned to Bradenton Marauders from West Virginia Black Bears. June 15, 2016 Pittsburgh Pirates signed 3B Will Craig. June 15, 2016 3B Will Craig assigned to West Virginia Black Bears.